There are many different types of blight, the most common is Alternaria Blight caused by Alternaria panax. This particular Blight depends on the ginseng for its nutrition, and eventually will kill the ginseng plant if left unchecked, and in severe cases sometimes even result in the loss of the root as well. The Alternaria spores are transferred by wind; rain, animals and even on clothing if not careful. 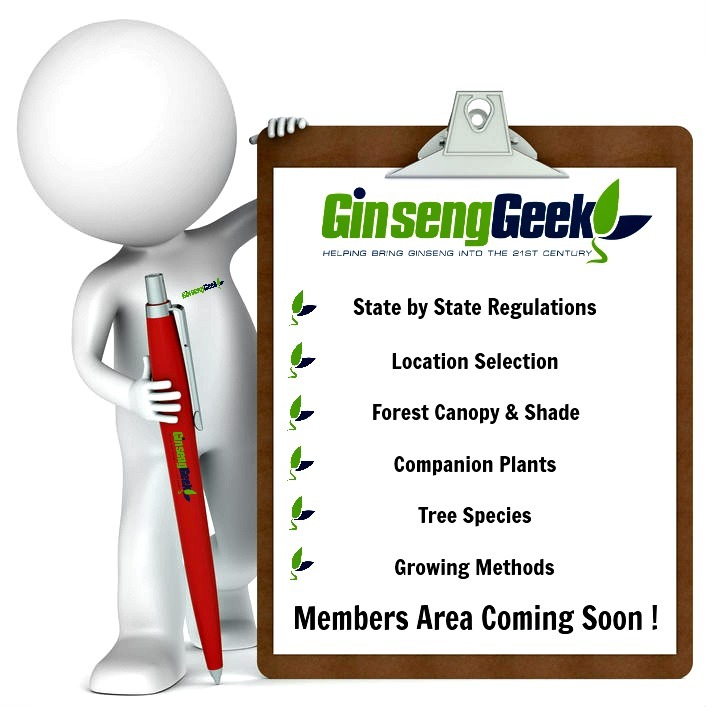 Spores will remain on ginseng plants and will sprout during the hot and humid weeks of the growing season. The weeks and months of this differ from region to region but can easily be tracked. Spores can also remain on leaf litter over winter and continue to spread during the next growing season. Infections can begin anywhere throughout the planting site. 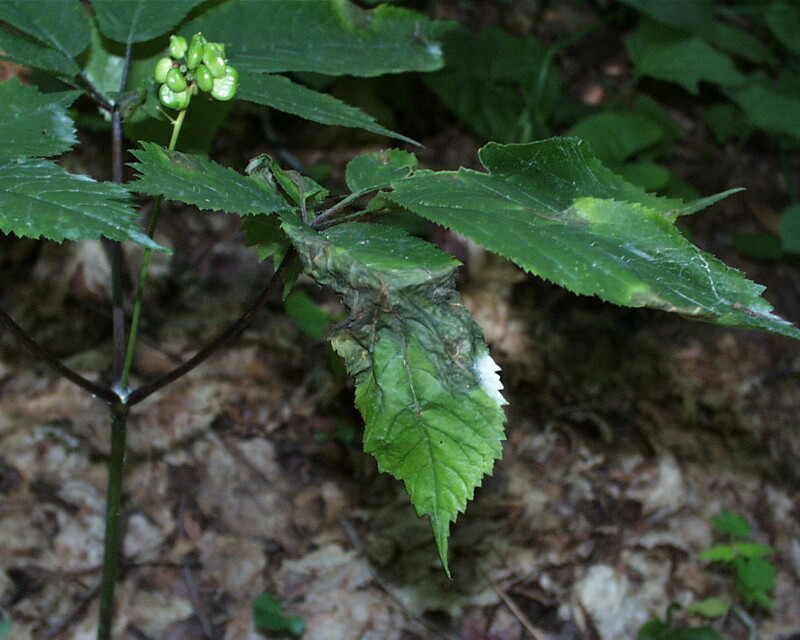 Dark and oily looking and/or yellow spots will appear on the ginseng’s leaves and stems. The spots can appear wet before drying and leaving a thin tan paper like center with a darker boarder. These spots could turn light brown and can grow in excess of two inches. Often these spots/lesions will drop out leaving a shot-hole look. Stem lesions can also develop just above the soil line; symptoms are elongated red to brown lesions. These lesions will usually girdle the stem, causing the leaves to wilt, turn a yellow to reddish brown color and die. Thankfully this is not as common amongst younger seedlings due to better air circulation, but when infected often the root is lost. The older plants 2-3 years and up are more susceptible due to their denser foliage resulting in less air circulation. When older stronger plants are infected, generally only the tops will die off preventing further growth and no seed production for the rest of that growing season. The roots should survive to produce new tops next spring and normal seed production should also resume. Premature defoliation can reduce root growth (and yield). If left unchecked, Blight can quickly spread over an entire planting area. Routine checks should be performed as often as possible but no less than once a week if possible.